November Libation . 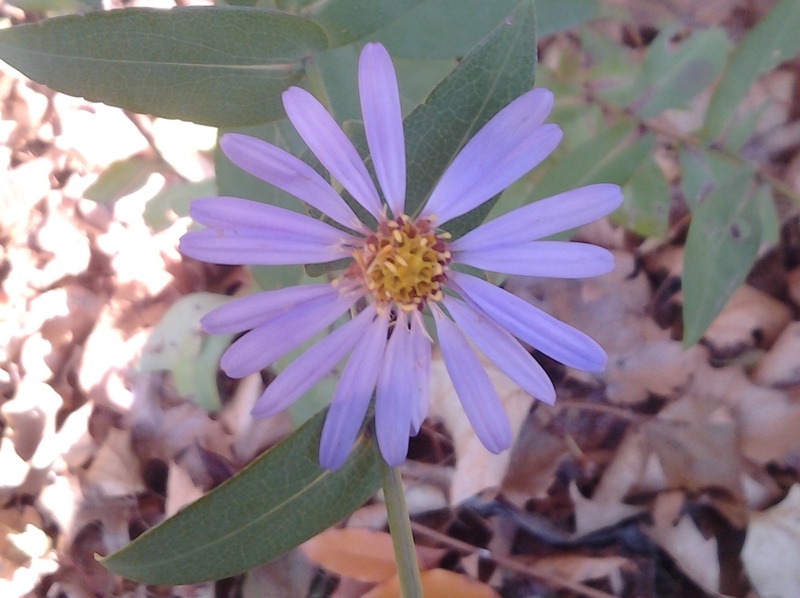 . .
Shadows long across a lawn otherwise flooded with sun lead to a lone New York Aster in bloom. Light reflected off leaves shines as bright as wine. Foliage, served like oven-browned vegetables to the eye, rustles below a monochrome blue sky. November in Manhattan can approach perfection on a clear day. Flowers now reflect white for most sighted. Symphyotrichum novi-belgii, the New York Aster’s light purple, makes an exception as does the egg yolk of the Solanum, varieties of Nightshade and Horse Nettle. 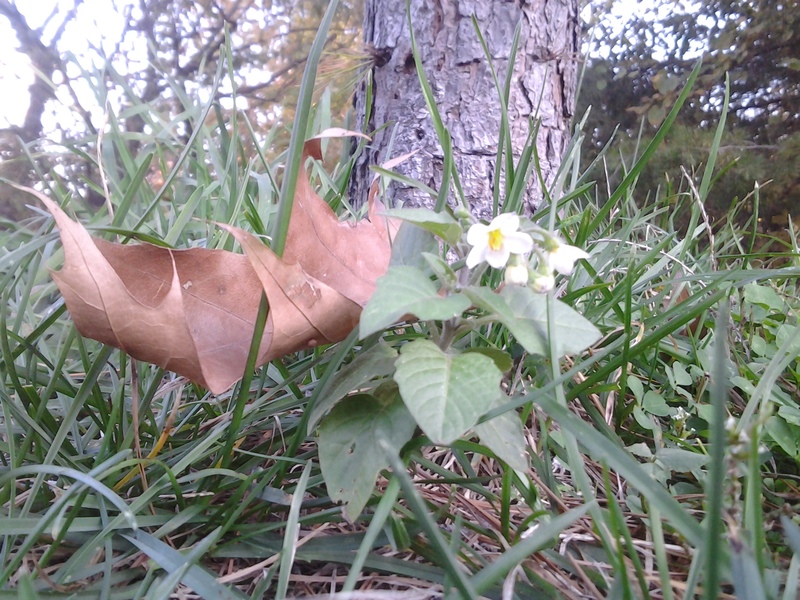 Tiny nightshade plants often bloom around the uncut rings of turf that surround park trees. Small size may be due to in part to oak tree tannins in the soil. 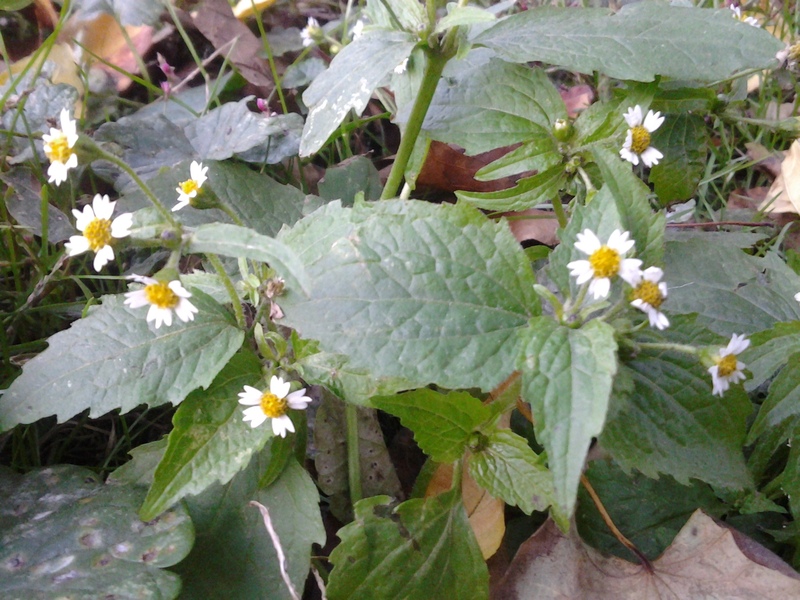 Richer lawns hold patches of mature pink Lady’s Thumb, Persicaria peersicaria, and the tiny daisy faces of Galinsoga parviflora, Galinsoga. 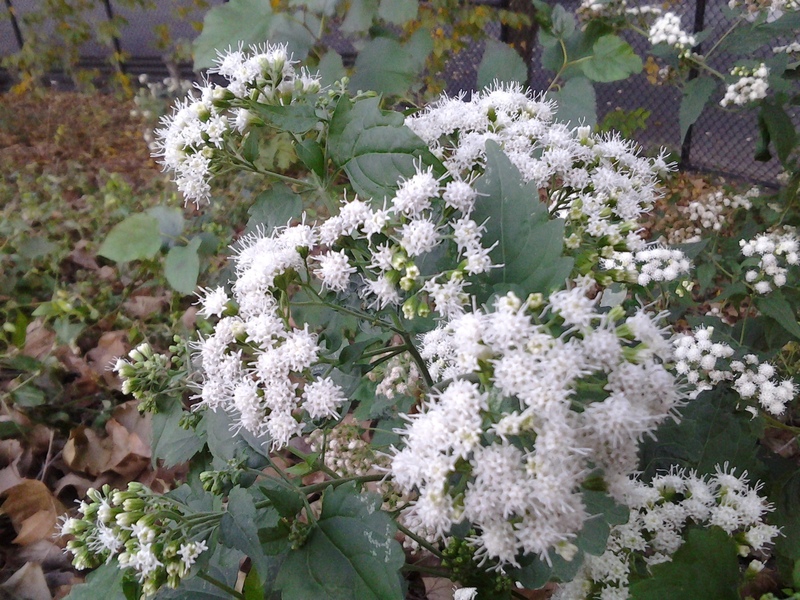 Seeds set to parachute from tiny globes blow in the walkway edges as do stands of Ageratina altissima, White Snakeroot. 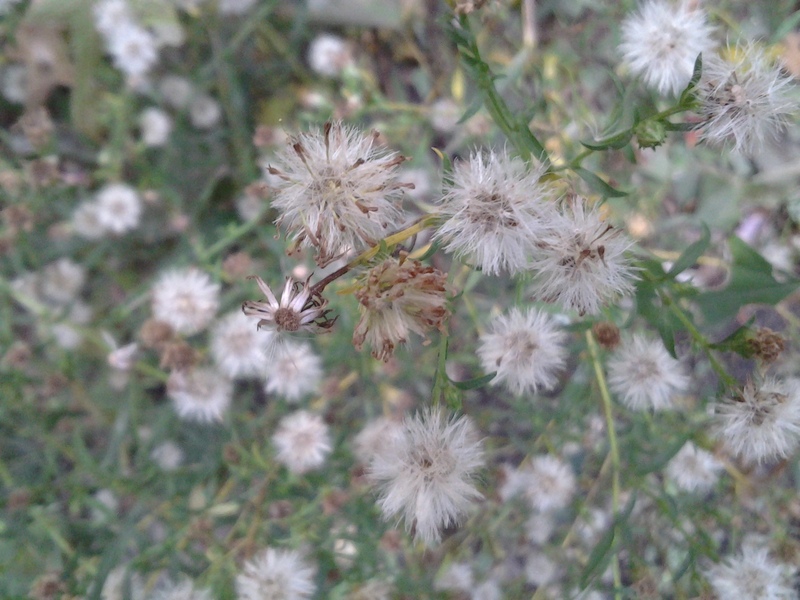 The flower heads of this Asteraceae resemble baby balls of yarn when viewed through lenses of enhanced imagination. 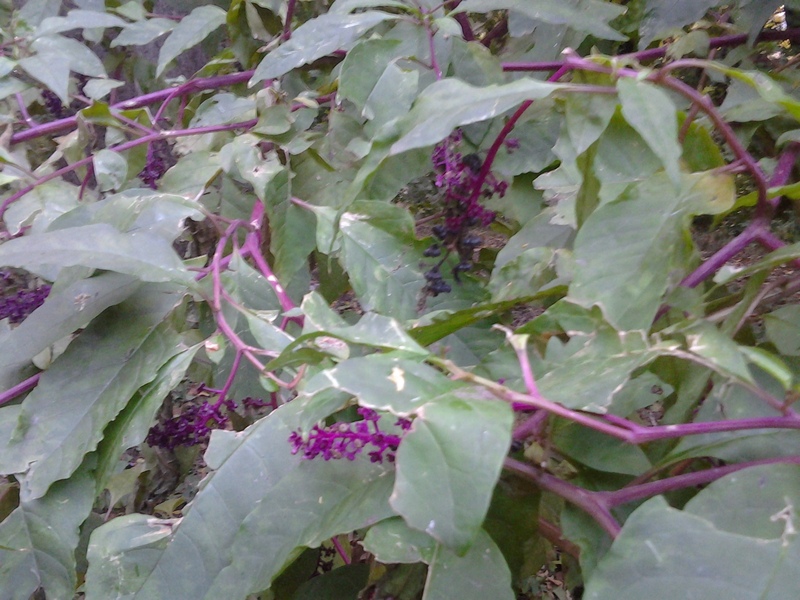 Rational can turn Dionysian at the sight behind the now relaxed leaves of American Pokeweed. 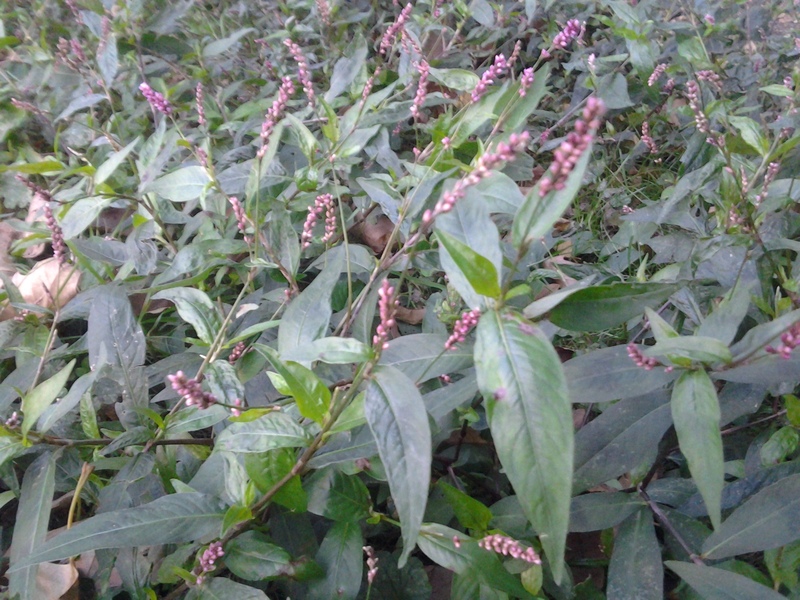 Phytolacca americana stems, exposed, convey the color of Pinot Noir. Here’s a toast to November in Manhattan.